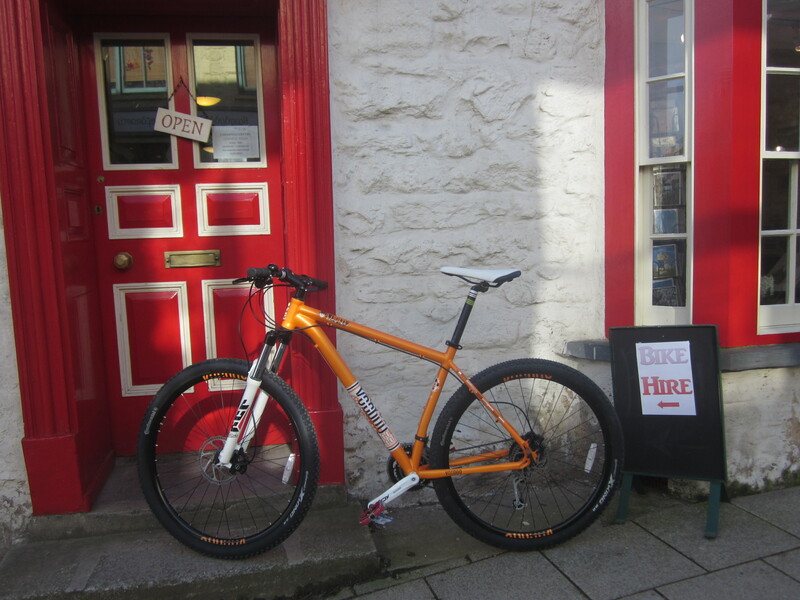 After yesterday’s storm, today is calm and bright, giving Graham the chance to try out one of the new bikes. He noticed the slight decrease in manoeuvrability compared with 26 inch wheeled mountain bikes but found the improved comfort of the ride and ease of climbing uphill more than compensated for that. I was pleased to hear that the 20″ frame was a little too large for Graham who, at 6’1″ is not as tall as some. One reason for choosing larger-wheeled models was that they might suit taller riders – we await feedback. 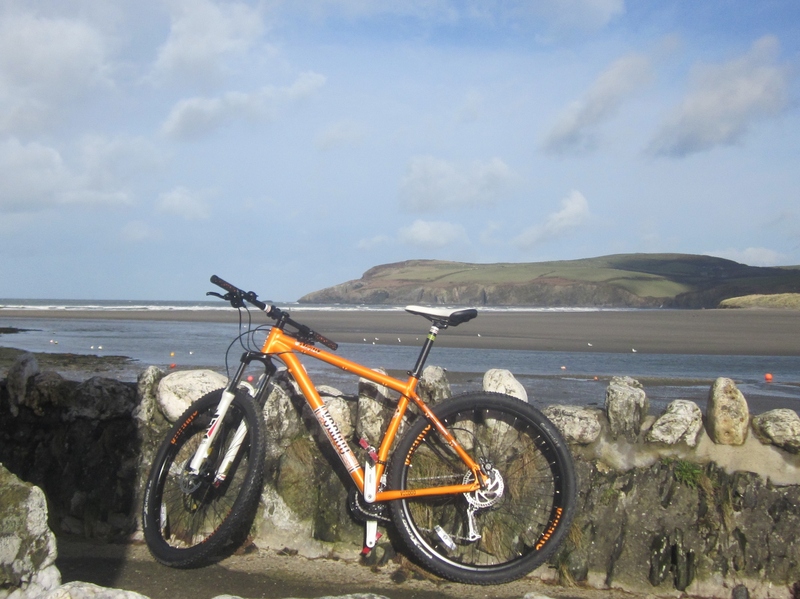 This entry was posted in Uncategorized by Carningli Bike Hire. Bookmark the permalink.